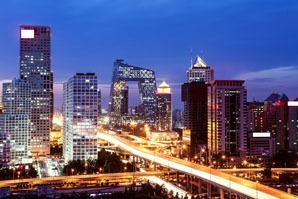 Like just about any cities throughout the world, Beijing has plenty of hiccups that will put a damper on your trip. Giving these a read before will help you make the most out of your time in Beijing, ensuring you don&apos;t waste any time. Rush hour on the subway in one of the world&apos;s largest cities is no fun - make sure you stay away from it. Far, far away. Being on holiday means that you don&apos;t really have to be on the subway around these times anyway, so there is no point subjecting yourself to the crowds. Big exchange stations especially can be a huge bottleneck and may be uncomfortable if you&apos;re not used to the minimal personal space. If you&apos;re waiting for a taxi and someone stops shouting &apos;taxi&apos; don&apos;t trust them unless they&apos;re a real registered taxi with a meter. Illegal taxi drivers are dangerous because, in the worst case scenario, many of them operate within gangs, and in the best case scenario, will rip you off. The same rules count for the airport and train stations. Sometimes airport staff will try to get you in a non-registered taxi even if you&apos;re in the line for a real taxi as the ground staff may be in cahoots with the drivers. Don&apos;t let them push you around, be vigilant, and wait for a genuine taxi to come along. It&apos;s better to wait in line for a few more minutes than to end up in an uncomfortable situation. 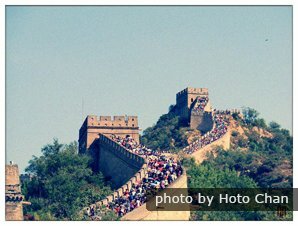 The Badaling Great Wall is always full of people during national holidays. During national holidays, Beijing is overrun with tour groups coming from the countryside. 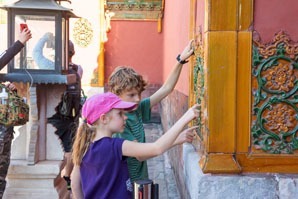 Visiting a popular sight like Badaling or the Forbidden City during this time of the year will not be fun, in fact, it will be highly stressful. Best thing to do is to avoid national holidays when planning your trip. Getting caught in the bathroom without toilet paper is no fun, and the general rule in Beijing is to carry toilet paper everywhere, as barely any bathrooms supply toilet paper with the exception of high-end restaurants and hotels targeting foreign clientele. Not all Western restaurants in Beijing serve up good Western food, in fact, ordering a pizza or pasta dish at the wrong restaurant can leave you hungry in the best case scenario, or with a bad case of food poisoning in the worst case scenario. Stick to Chinese food instead: it&apos;s hard to go wrong with Chinese food in Beijing. If you are randomly choosing while on the road, pick a restaurant that looks busy for the best results. Alternatively, check this list of the best Western restaurants in town, if you really are craving something from home. 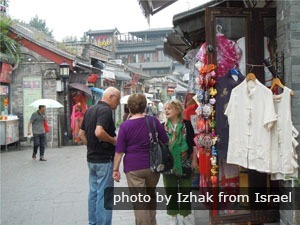 This is one of the most common Beijing scams, and chances are high that anyone at popular tourist sites being friendly is trying to get money off you in one way or another. Read up on the most prevalent scams to increase your chances of realizing when you are being scammed. This one is pretty self-explanatory: the streets in Beijing are pretty wild. Cars are allowed to turn right everywhere, even when the pedestrian lights are on green, meaning you have to be on the look-out even when you are crossing at a green light. While Wangfujing snack street is worth a visit for the mandatory "look I&apos;m eating a on a stick"-photo, and it is a great place to get souvenirs, it is also a hotbed for food poisoning and not-really-authentically-Chinese snacks. 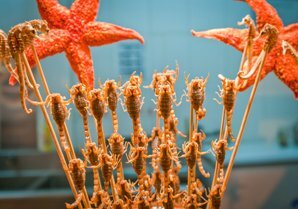 Chinese people don&apos;t really eat scorpions on a stick, unless they&apos;re not from Beijing and also on holiday here. 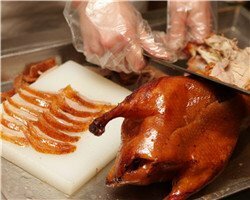 You&apos;d be much better off getting stuck in and trying these genuine Beijing-style street snacks. You&apos;ll find them sold off carts by the side of the street throughout the entire city, you shouldn&apos;t have to look too hard, they tend to gather around tourist destinations too. Beijing&apos;s weather can be pretty unpredictable: especially during the long and hot summers, a shower can strike at any time. Sometimes these showers turn into days of rain and slight flooding in parts of the city where the draining system isn&apos;t very good, so don&apos;t leave the house without an umbrella even if your trusty weather app predicts a dry day. You never know, and you don&apos;t want to be caught by surprise. Don&apos;t forget that prices quoted to you at markets throughout the city aren&apos;t the final prices, and that you&apos;re going to have to bargain when you&apos;re shopping. You can sometimes get the price down to about a fourth of the quoted price! While Sanlitun has some good Western-style bars and restaurants, it would be a shame if you only went out at Sanlitun Bar Street, known by the locals as hell on earth. 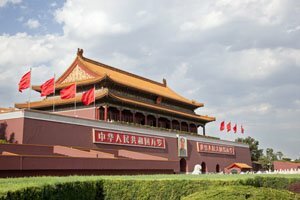 Instead, Beijing&apos;s famous hutongs have developed a lively nightlife, and many of the bars here are much better than those in Sanlitun, especially if you like high-quality cocktails and liquors. Check our list of Beijing&apos;s best bars to expand your horizons and get past bar street, especially if you&apos;re not a fan of over-priced Carlsberg and awkward pole-dancing. 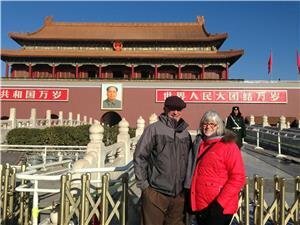 The best way to avoid trouble is to not talk about any politically sensitive subjects to people you meet on the streets or even your local tour guides, especially when visiting attractions like Tian&apos;anmen Square or when talking to government officials or the police. It is also best to stay off these topics at other high-security areas like airports and train stations. Also, avoid criticizing China in public, as Beijingers are proud of their country and the capital. Another nightlife trap: Houhai&apos;s bars. Which is a shame, as the lake is quite nice to walk around. Much like Sanlitun&apos;s bar street, the Houhai bars are overpriced, and some are not very good. In fact, much of the alcohol on offer here is fake (for example the vodka in your vodka and lemonade, beer is generally a safer bet if you do end up in one of these bars). If you are going to drink by the lake, it is best to steer off into a side street, find a local restaurant, and get a local Yangjing beer. This way you&apos;ll get about three times the amount of beer for one-tenth of the price. 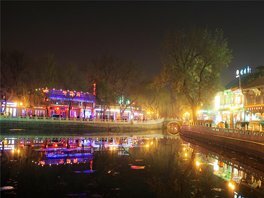 Alternatively, as Houhai is walking distance from the aforementioned hutong bars, go there instead following a stroll around the lake. Has the thought of this challenge got you excited? Find out more about planning your first trip to China, and read more about things you should know for your first trip to China. We can help you create your own trip so that you don&apos;t have to worry too much about what not to do, and can enjoy the rest of the country more. 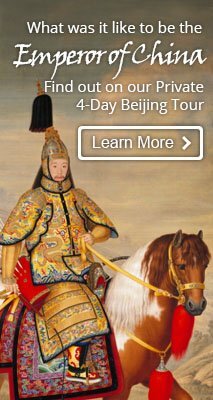 Click here to learn more about our China tours.